Hiring a photographer for your big day is a challenge. He has to be experienced, well equipped and should be available at the time you expect. You have to get those moments perfectly captured and so you need the assistance of an expert. Apart from that, there are some small things that should know before hiring someone. Let’s see what they are. Wedding photography has different styles. Each style of wedding photos varies from another one. You should be known about the latest trends in photography and their peculiarities. Your photographer might prefer the old-fashioned photo posing style for your wedding and you may want something different. So your style preference has to be pre-informed to the photographer in order to avoid the confusions. In order to choose your style, you have to be well informed about the styles in photography. The contract of the photographer is a good guide. It will have the complete details and will contain all his terms and conditions. You can be sure of his preferences, costs, and delivery. But the contract is a tricky thing. There might be some hidden phrases in the contract that might help the photographer to sue you in future. Check out for clues about unexpected changes. See if he has notified that other copies of his works cannot be reused. If yes, you still have the time before cutting the cake. Because that sentence about the cost or the copies might be a risk factor. Make sure that the contract is transparent and is drafted without any word jargons. The Quoted Costs Don’t Vary. Doesn’t it? Yes. The quote is fixed and you will be expecting it as the final cost. But the fact differs. The costs may vary. There will be some additional costs depending on the circumstances. Sometimes you might need some additional prints and that would cost extra. If you wish to do an early morning photo shoot or a late night session, the photographer might demand some extra bucks. When you need an express album delivery also, there might be a rise in the cost than that of his base price. You have to inquire about all the additional costs that might come on or after the photo shoot. You Can Explain Your Expectations. Will it Work? You do have a style of the photo in your mind and you can explain it to the photographer. But there are chances for confusions that you might be delivered bear when you expect a beer. The best way to avoid this scenario is to have references. Get a copy of the photograph that you would like to mock. Print out nice samples from the internet for the reference of the photographer so that he can recreate the same with grace. Always have hard proofs and written documents. That would help to avoid conflicts. The Album Will Be Delivered. But When? You might be expecting your wedding album from the next day of the wedding itself. And it will really annoy you when it’s not delivered promptly. So make sure that the photographer had added the delivery time on the contract. If he hasn’t get written documents from him regarding the delivery of the album. You can suggest the shortest delivery and can advise him a date. Else you can get his suggestions and can fix up a delivery date according to the convenience of both parties. He Does Much of Events. But Does He Do the Ones Like Yours? You might have found an expert photographer and would be really impressed by his works. But be sure that he is comfortable with the style that you prefer. Show him your reference clicks and then advice your preferences. Maybe he will be an expert in another style, but not in yours. 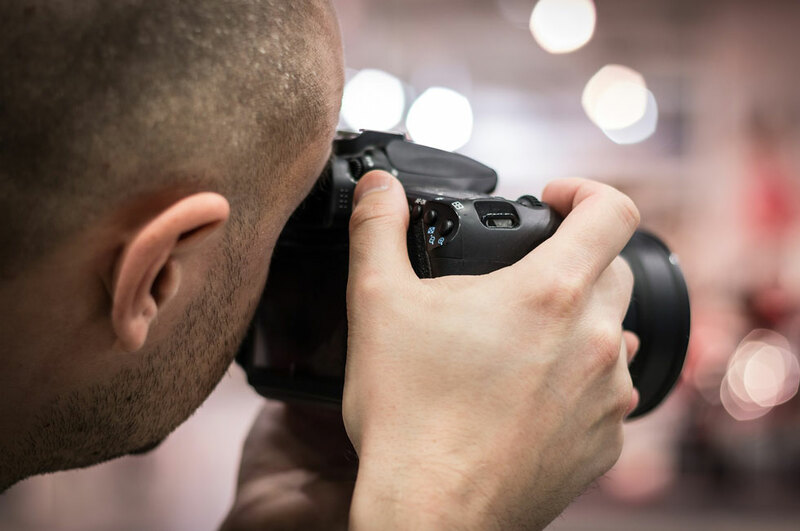 Letting the photographer know about your preferences and assuring that he is used to that particular style is so important in wedding photography. These are the things you need to know before hiring a professional wedding photographer.